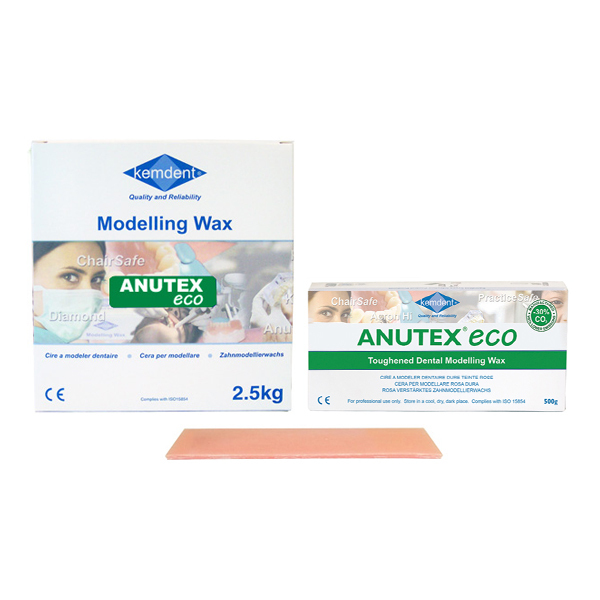 Anutex Eco is the latest addition to Kemdents fine range of modelling waxes. Using new manufacturing techniques, we are able to produce our great quality Anutex Wax using 30% less energy than before. Will not irritate oral tissues. No unpleasant odour or flavour. Softens without becoming flaky or crumbly. Does not adhere to fingers. Shows a smooth glossy surface after gentle flaming.